Take Good Care of Your Air Conditioner – Like any major appliance, your AC requires regular maintenance and care in order to run smoothly and efficiently. To get the most out of your window AC, you should change or clean the filter a few times each summer (most experts recommend monthly cleanings). 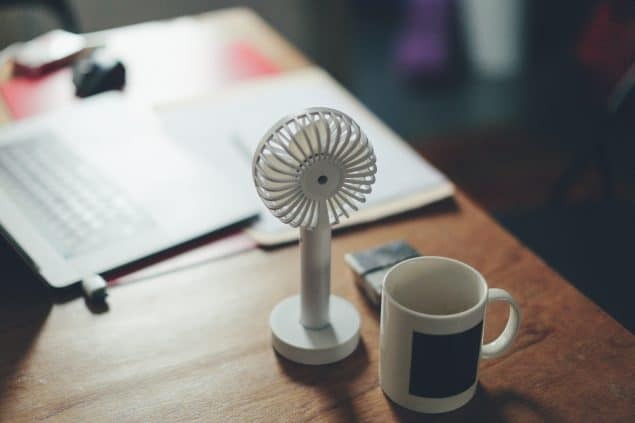 If you use central air conditioning, there are also a few steps to take to keep your unit clean, but you should probably call in a professional to perform that annual tune up. Air Conditioner Window Units are another option if you are looking for ways to cool your home during the summer! Mini fans are a great option, too! Check out these mini fans. Don’t Try to Cool the Entire House – Remember when your father used to yell at you for “trying to heat the whole neighborhood” when you left the front door open during the winter? That valuable lesson is also true in the summer. Only instead of cooling the whole neighborhood, you should avoid cooling your entire house. Only cool the rooms you’re using, which means keeping vents closed in unused rooms and keeping window units turned off in bedrooms until right before bedtime. Close Drapes and Blinds – Save energy by keeping doors shut whenever possible and by closing the shades, drapes and blinds during the day. Consider hanging black out curtains to keep the inside of the home cool. Keep it Cool, But Not Too Cool – A chilly 70 degree living room might feel nice when it’s 90 degrees outside, but the lower your thermostat is set, the more you’ll spend on electricity. The easiest way to save is to turn the temperature up to 76-78 degrees (each degree will save you 3 percent in electricity to run your AC!). When you leave the house for shopping or work, turn the AC up even higher, to 80-82 degrees. Run Ceiling Fans or Box Fans – If 78 degrees is too warm for you, run your ceiling fans (if you have them). The breeze from the fan will make a 78 degree room feel like 76 degrees. And even through the fans use electricity, you’ll still save money on your monthly bill versus turning your thermostat down to 76 degrees. View this great selection of box fans and small fans. How do you keep your home cool in the summer?